"Black Cat Mine, Ione, Nevada" has a gruesome story behind it: Joanie and I did a road trip around central Nevada some years back that took us through Ione, Nevada, an almost ghost town to the left of the middle of nowhere. 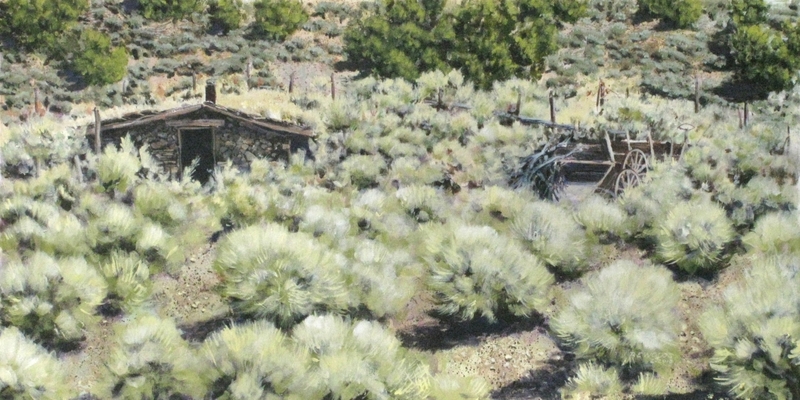 I saw this old dugout over the tops of the rabbit brush, and wandered over for a closer look. Only the ghost of a black cat lived there now, judging by the mummified remains hanging from a nail inside the door.